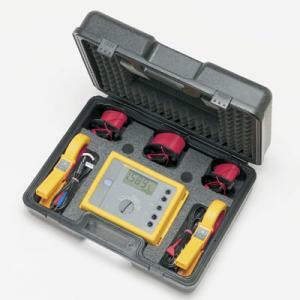 AEMC 4630 4-Point Ground Earth Resistance Tester performs ground resistance and soil resistivity tests. 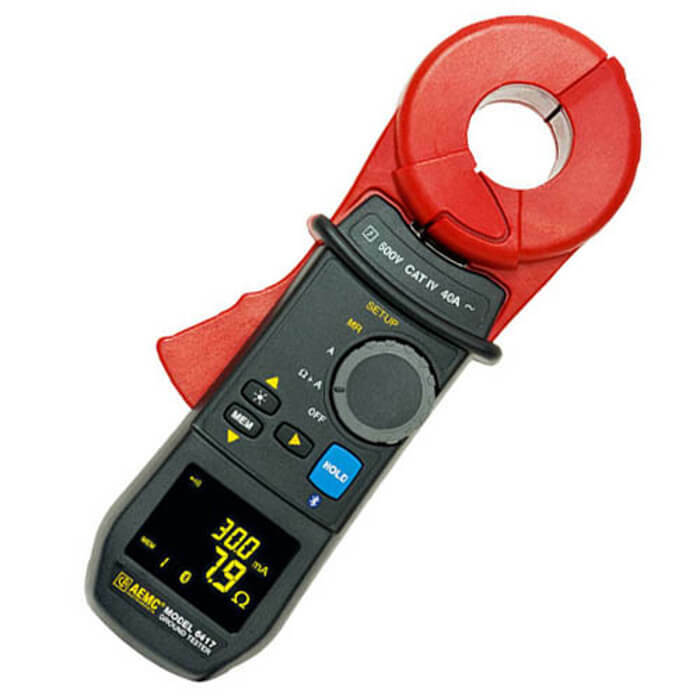 This direct reading testers measures from 0 to 2000Ohm, and is auto-ranging, so it automatically seeks outs the optimum measurement range. 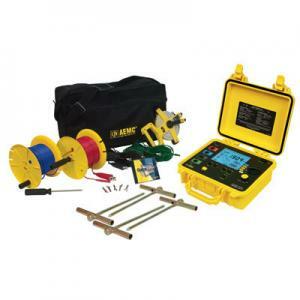 The Ground Resistance Tester Model 4630 is rugged, easy-to-use and is ideal for maintenance crews performing numerous tests. 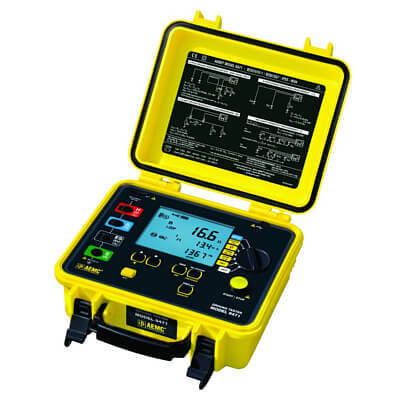 It exceeds mechanical and safety specifications for shock, vibration and drop tests called out in IEC standards. It is designed to reject high levels of interference, so it can be used under difficult conditions such as high stray currents that normally affect accuracy. 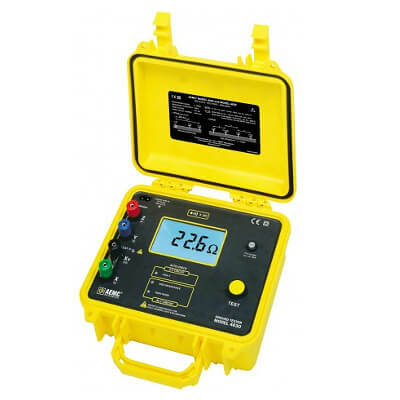 AEMC 4630 4-Point Ground Earth Resistance Tester is powered by 9.6V, 3.5 Ah NiMH rechargeable batteries. A built-in recharge circuit, powered from 120/230V 50/60Hz line, also provides for testing while recharging.